Eakes developed a procurement program that specifically addresses the needs of schools. 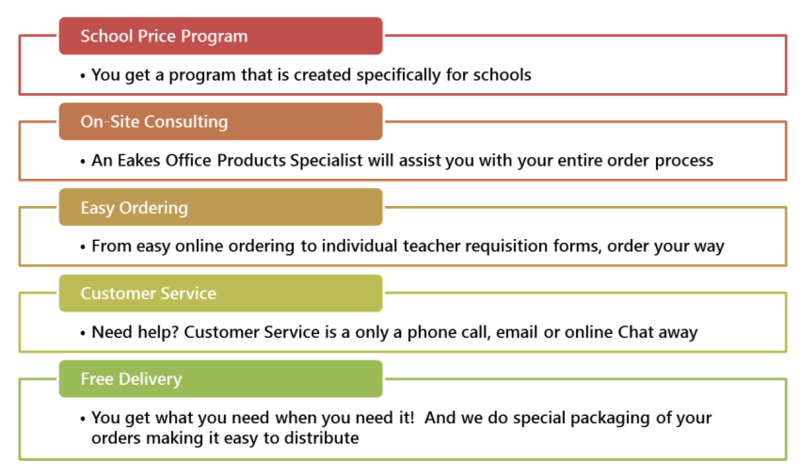 We make it as easy as possible for your administrative staff to put their orders together, place them and distribute the products back to the classroom. 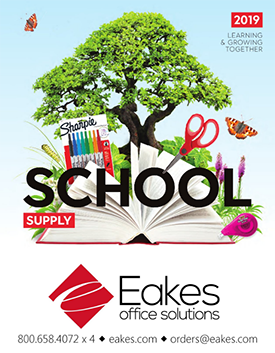 When seeking proven products that support educators administrators and students, we have what you need at Eakes. We will take great care of you, our valued customer.